Walt lives in Hope Harbor, an island community that has put its trust in salvation from across the sea. “Why don’t we sail to her ourselves?” I want to know. 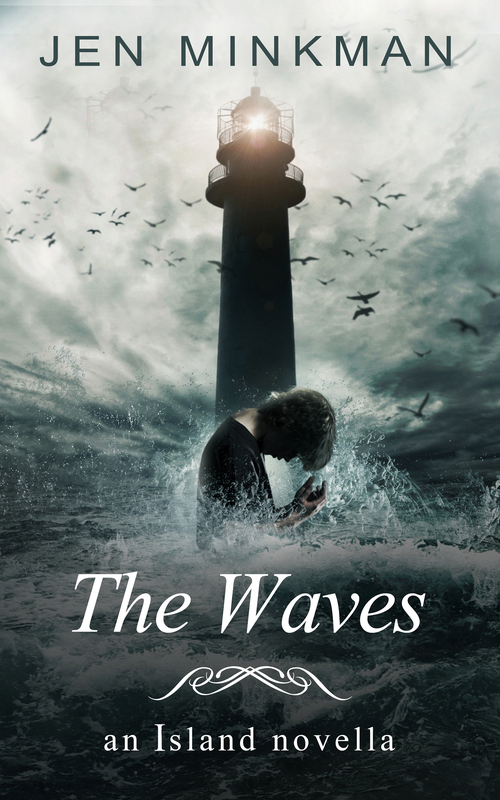 The Waves is the second novella in a series of dystopian books. This novella was in the Hot Releases and Amazon Kindle Dystopian Top 100 during launch month (October 2013) and has sold about 400 copies since then. It will also be available in German and Dutch in 2014, and there is a prequel to this novella called The Island. A third part to this trilogy is in the making. Please note: translators are currently working on translating the first book The Island into German, French, Spanish, Italian, Portuguese and South-African. If you are interested in translating The Waves, I can only consider your offer after the previous translators are done. If they are interested in translating the second book as well, I will give those people priority. “Where to, Grandpa?” I ask curiously. The Goddess with black hair waving in the wind, as portrayed on the biggest wall of our temple. I was only five, but I still clearly remember feeling a cold shiver running through my body after hearing that last remark. Most children in Hope Harbor are scared of the stories their parents tell them about the Unbelievers: if you don’t visit the temple every week, they will get you in your sleep. If you don’t listen to the priests, they will send you out into the wilderness behind the Wall where the Unbelievers dwell, their robes of black and masks of horror a sure sign of their sinfulness. Once they sink their claws into you, there’s not a chance you will ever return. I know better now – because I’ve been there, and yet I am still alive. Already translated. Translated by Laura D.